hristmas tidings come in all shapes and sizes. In 2009 at Animal Place, Christmas Day brought a frightened, underfed baby calf with a pair of the biggest brown eyes imaginable. Nicholas' fate is much brighter. At Animal Place, he's receiving round the clock care from volunteers and staff, with regular bottle feedings and medical attention, in warm and safe surroundings. 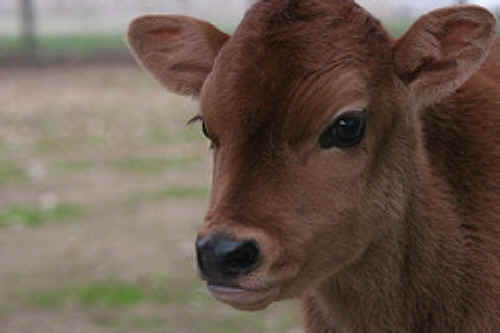 He'll be an ambassador for the millions of other male calves born every year who never live beyond a few months. Nicholas is a wonderful Christmas gift.